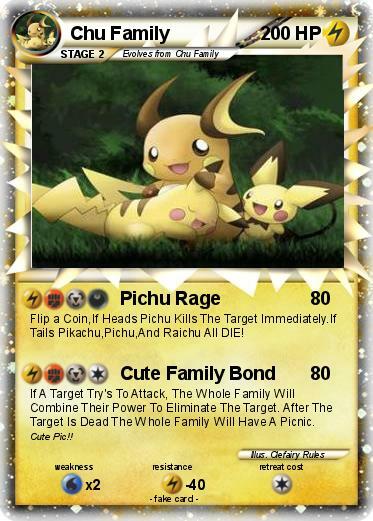 Flip a Coin,If Heads Pichu Kills The Target Immediately.If Tails Pikachu,Pichu,And Raichu All DIE! If A Target Try's To Attack, The Whole Family Will Combine Their Power To Eliminate The Target. After The Target Is Dead The Whole Family Will Have A Picnic.